Today’s drive may be my favorite on all of Pacific Coast Highway as it includes the amazing Big Sur coastline. 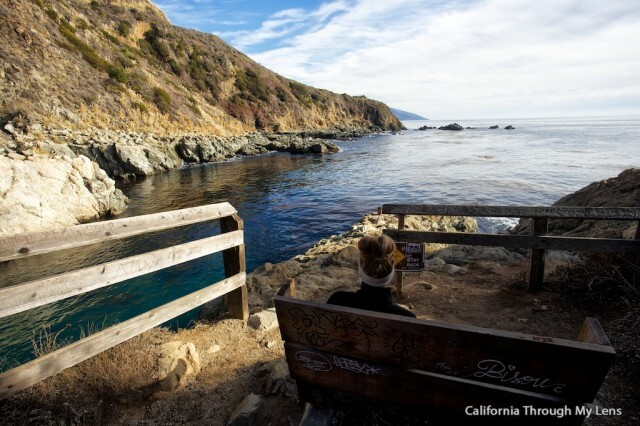 Because of this, I would recommend not trying to cram too much in, as your drive through Big Sur will most likely have you pulling over all of the time to see the views, so be prepared for that. That being said there are a ton of cool stops before Big Sur so find the ones below that sound the best to you and just go for it. In downtown San Luis Obispo is the famous gum wall. 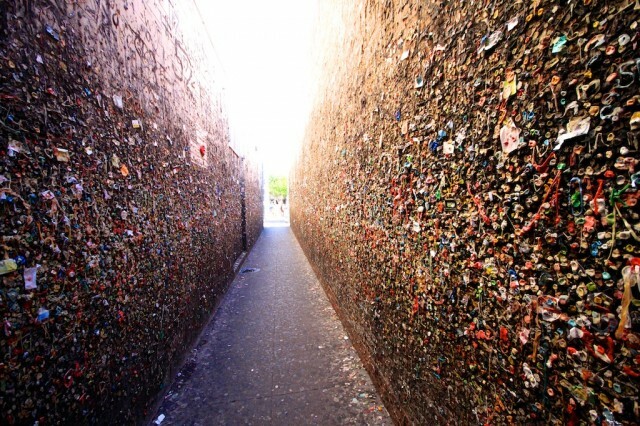 The gum wall is pretty much just an alleyway that has been collecting gum for over 50 years. This is a quick stop but one that people love for the fun pictures. 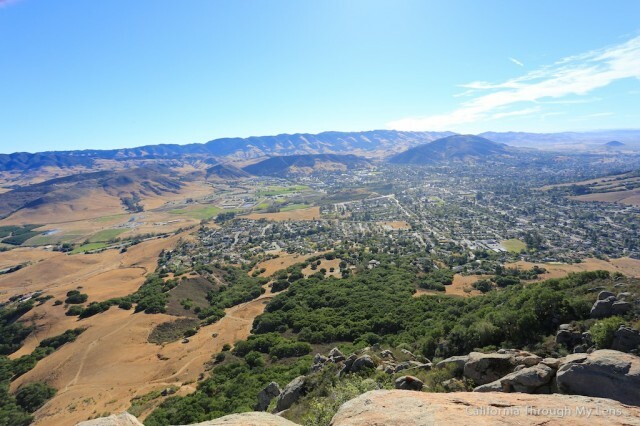 I love downtown San Luis Obispo too so it is worth spending some time there. Read about it here. If you are breaking this day into two days, then it can be fun to hike to the top of Bishops Peak for a nice morning activity. It has fantastic views of the city and valley below, but I would not recommend it if you are trying to get through all of this in a day. Read about Bishops Peak here. 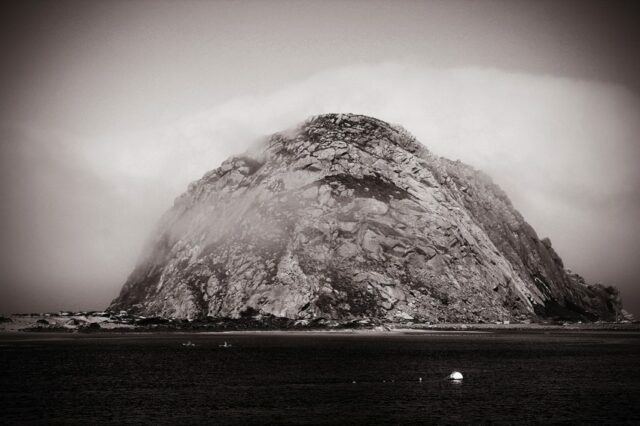 When you come through the inland stretch of Pacific Coast Highway above San Luis Obispo, you will be blown away by the beautiful Morro Rock which sits daunting in the cove of the small town of Morro Bay. It is majestic and massive, and I recommend going and parking near the jetty to the South side of it so you can explore the area. Read more about it here. 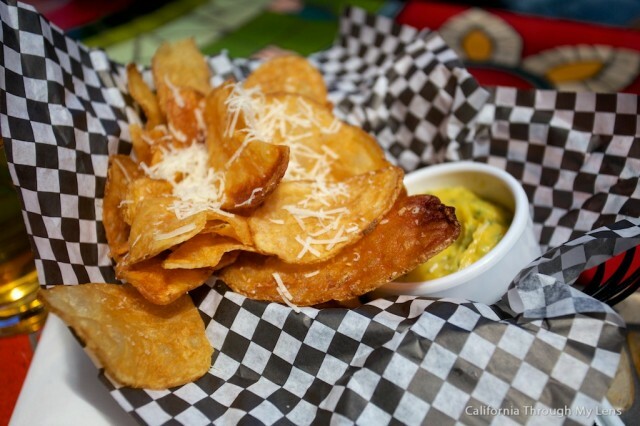 One town up from Morro Bay is Cayucos and the Brown Butter Cookie Company. The cookies here are to die for, and they give out generous samples when you stop into the store. I always leave spending more than I wanted too but they make for a good souvenir to take home to family. Read more about it here. If you are looking for a place to stop in Cambria for lunch, then I recommend Robins as the food here is fantastic and the atmosphere is relaxing. Cambria is also a beautiful spot to stay the night as well, and if you are interested, then I recommend Victorias Last Resort. Read more about Robin’s here. I love weird stuff, so a stop at Nitt Witt Ridge was a must for me. 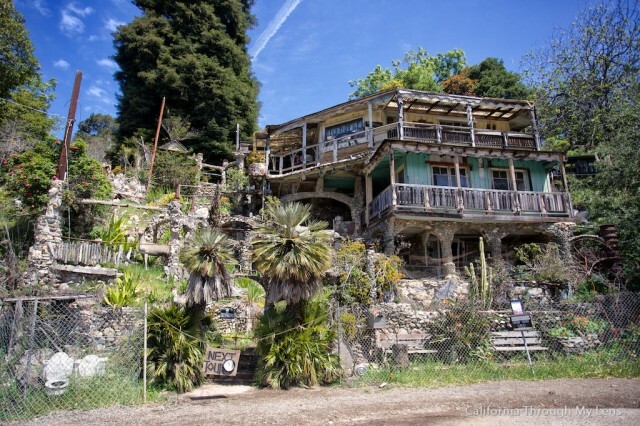 This spot is a crazy collection of trash and art that one man made into a fully functional house. 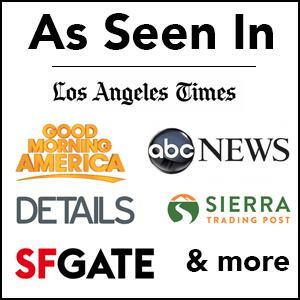 They have a few tours during the day, and I recommend checking it out. 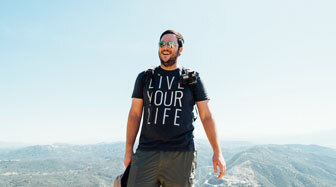 Read about Nitt Witt Ridge here. 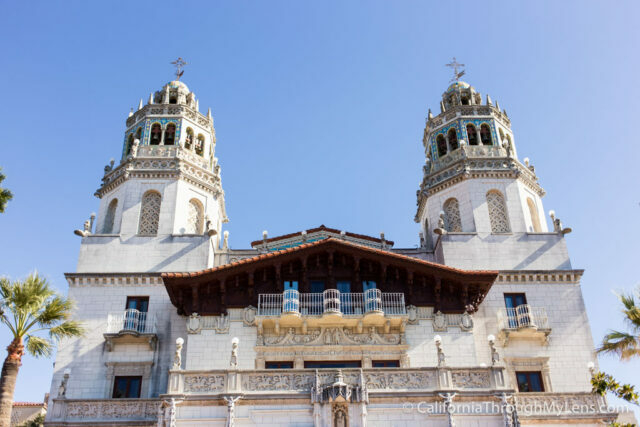 Hearst Castle is one of the most popular places on the entire drive and it is a fantastic stop if you are interested in seeing the history of this famous home. I would recommend that if you are stopping here, you might want to stay an extra night in Cambria; it can take a half day to take the tram up and go on the tour and you do not want to rush the Big Sur part of the day. Read more about it here. 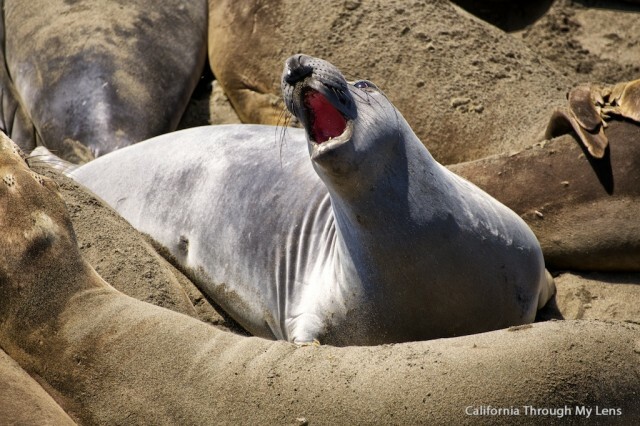 Right after you hit Hearst Castle there is a pull out to see the massive elephant seals. It doesn’t matter how many times I have been to this area; there is always something about these huge animals that make me want to gawk at them. It is a popular spot, but there is ample parking, so it is a great area for a quick break. Read more about it here. One of the first stops you will see when you enter Big Sur is this beautiful state park that has a fairy tale like feel to it. It has a few trails, one to a waterfall and another to a set of lime kilns that are hidden away in the forest. 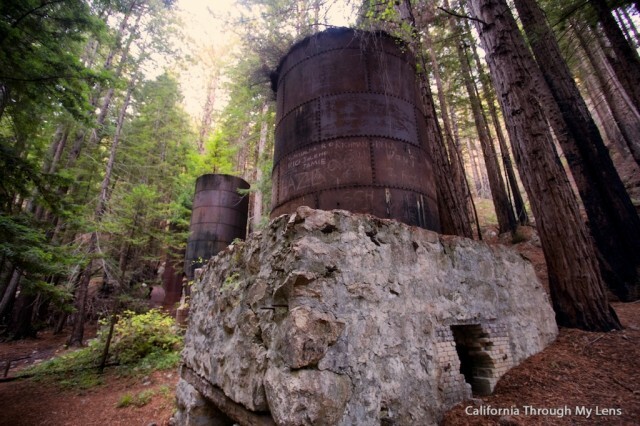 Read more about Limekiln State Park here. 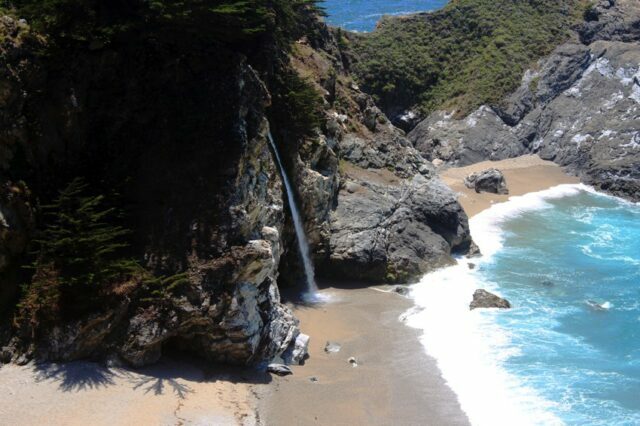 One of those places that are hard to believe exist in California, McWay Waterfall falls directly onto the beach. It is gorgeous and will take your breath away. You can’t get close to it, but that adds to the charm as there is never anyone in your photos. Read about McWay Falls here. This short, unmarked hike to a cove is one of my favorites in Big Sur and one that not many people know about. The cove itself is like something out of a dream and the old rugged human tunnel that you walk through to get there is fun as well. Be sure to get directions to this spot though, or you will easily miss it. Read about Partington Cove here. 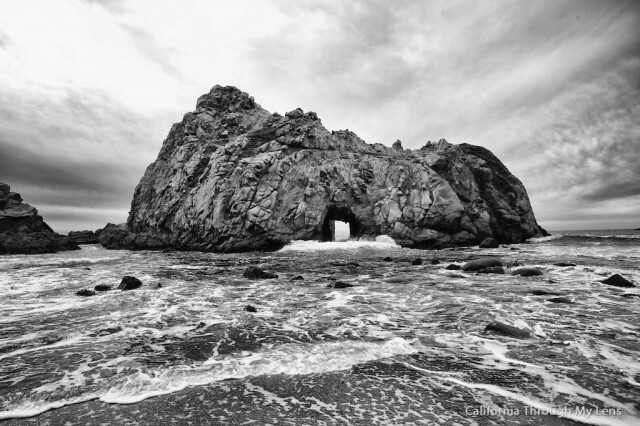 The purple sand beach with the massive rock and arch is one of the most photographed spots in all of Big Sur. It is on another unmarked road, but it is worth your while to find it as it is one of my favorite beaches in California. This beach is also dog-friendly so if you have a furry friend with you, it can be a perfect place for them to explore as well. Read more about Pfieffer Beach here. I love bridges, so this is a must stop for me, and even if you don’t like bridges you will want to photograph it as well. 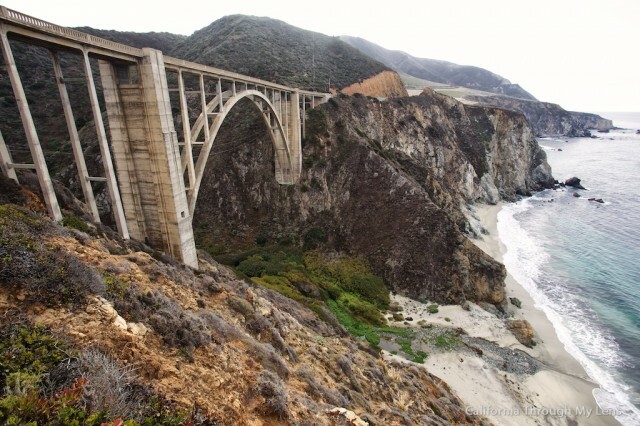 It is one of the most famous bridges in all of California and rightly so as it crosses a massive canyon and overlooks the ocean. 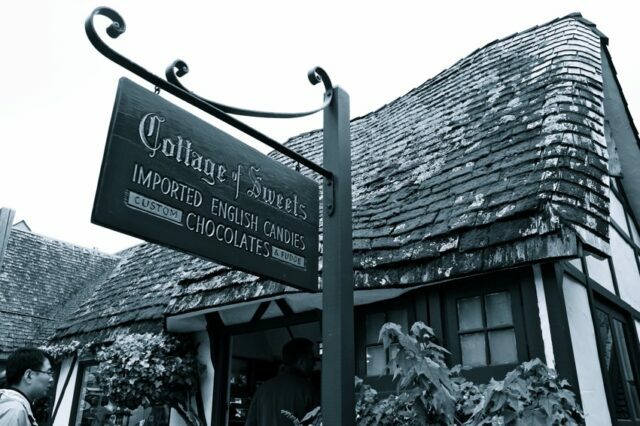 One of the small little towns that is often overlooked, Carmel is a great spot for shopping, eating and visiting. I love the quiet atmosphere, as it has a relaxing small town charm. 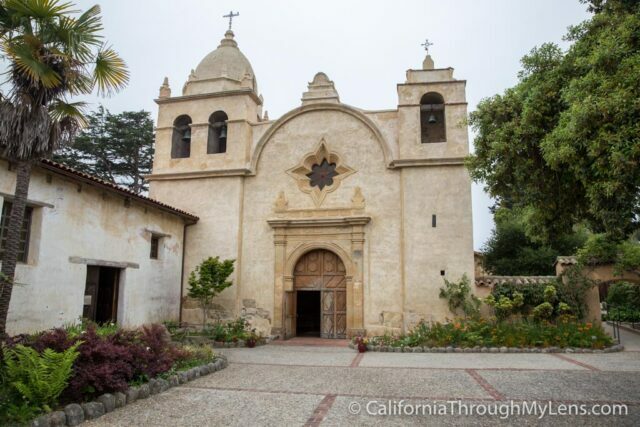 In the city of Carmel there is one of the best California Missions. If you haven’t been to any on this drive then you should check it out as it is beautiful. Even if you have been to others though this is still worth the stop. Read more Mission San Carlos Borroméo del río Carmeloabout it here. 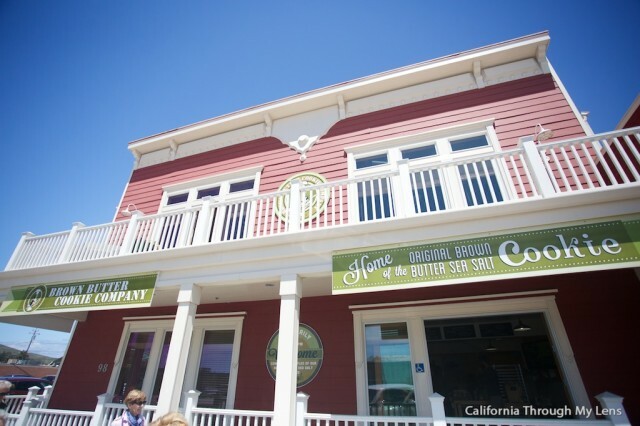 If Carmel is not your thing though, head to Monterrey and check out the famous Cannery Row. 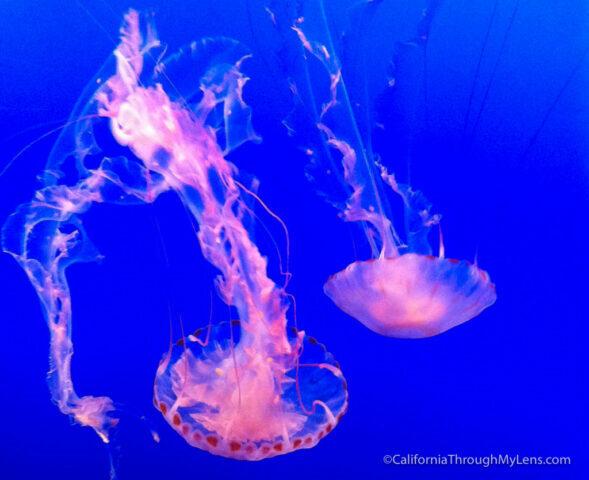 It has tons of restaurants and a famous aquarium that I highly recommend. I don’t have any real recommendations for hotels here, but it is a big town, so I am sure there a lot of good spots. You have now ended your 3rd or 4th day on this famous drive. Hopefully, you enjoyed Big Sur as much as I did but there are still a ton of fantastic stops coming up so get excited.